Free workshops: The Science Studio at Manchester Craft & Design Centre. 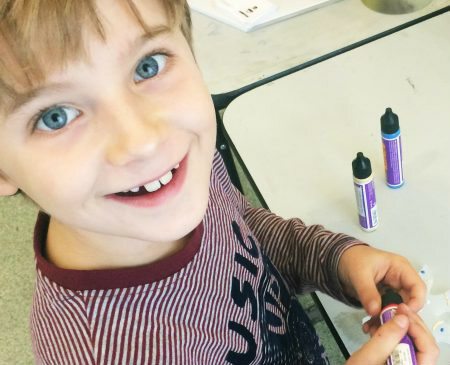 Your kids will be in their element with a week of science workshops at the Manchester Craft & Design Centre. The Science Studio presents printmaking, pewtersmithing, jewellery-making and more in a run of hands-on half-term experiments. The workshops are designed to inspire adults and children over 7 about the chemistry behind art, with a different craft activity – and a different artistic expert – every day from 2pm. There’s no need to book: just drop in, then walk away with your handmade beads, bracelets, keyrings or custom prints. This is part of Manchester Science Festival which runs from Thursday 19 to Sunday 29 October.